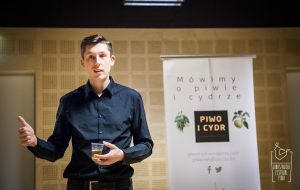 Cydr Pełnia (in English it means Full Moon Cider) is a new cider on Polish market created by Przemek Iwanek – a blogger, cider aficionado and beer/cider judge. He has a professional background in the food industry (alcoholic beverages). For many years Przemek worked as a food technologist for Polish companies. 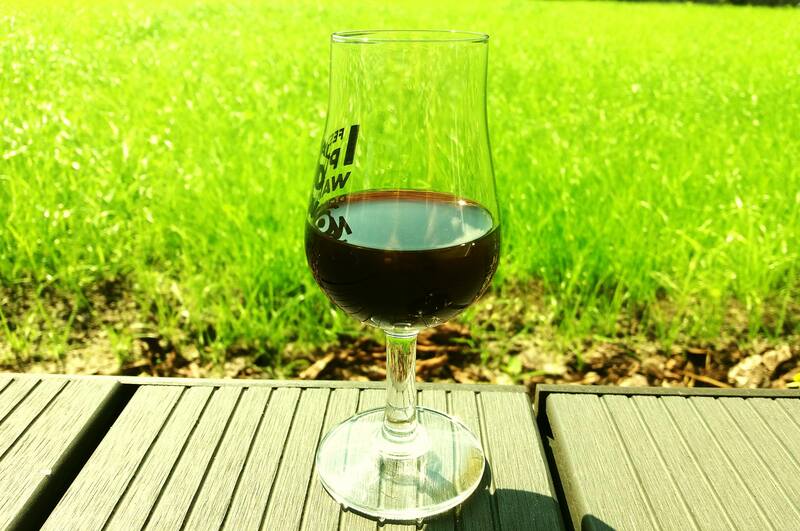 Now he decided to create his own cider – Cydr Pełnia. So how did this begin? Przemek says: My adventure started with food technology studies a long time ago. I went to the university because I was always interested in food production. All my life I worked in the food industry. Beer and cider are what I like the most about the food. I see the alcohol industry as a jewel in the crown. It takes a lot of skills to make an excellent drink. It is an art like speciality confectionery. Moreover, it is fun and a pleasure to create and try new drinks. He started with a blog Piwo i Cydr (Beer & Cider) in 2014 with his friend Kuba Piesio (who now works as head brewer in Warsaw brewery) and he calls it an “educational initiative” – he sees his blog as a platform which aim is to educate about craft beers and ciders. He writes articles, runs cider degustations and participates in many beers festivals as a key speaker and judge. His mission is to promote good quality cider and made craft cider widely available in Poland. The idea of making his own cider crossed his mind in 2016. Przemek signed a contract with a small cidery in Warsaw and started creating his first ciders. Full Moon Cider is produced in accordance with the traditional approach to cider: freshly pressed apple juice, without artificial additives, long ageing and traditional production methods without the use of new technology. His cider is dry or semi-dry and has approx. 6.7% ABV. He believes that the beer revolution that broke out in the USA a few years ago brought a strong and fresh breeze into the beer market in Poland as well. 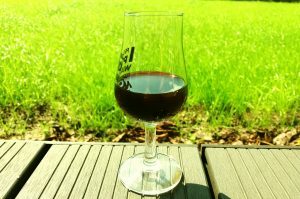 Przemek also is inspired by American flavoured ciders and he decided to make some experiments. This year he made limited editions of Peanut Butter Milkshake Cider, Banana Split Cider and recently Cydr Nów (New Moon Cider) which has beautiful deep black colour! We cannot wait for his future ciders. We think his creativity has no limit. Previous Post:Exciting time for Polish ciders! Exciting time for Polish ciders!